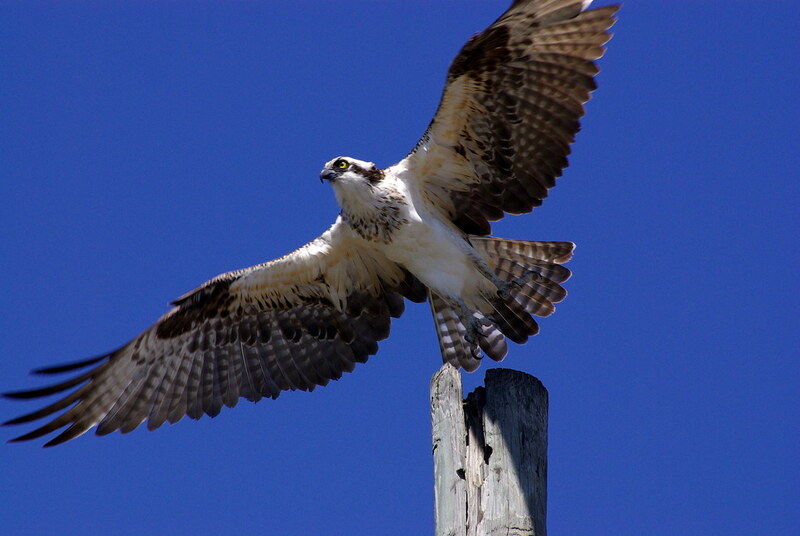 Normally photographs are accompanied with stories about whatever the picture is of; however, my treasured osprey photographs are accompanied with a story about how the picture was taken. Dad, Mom, and I were bird watching at Indian Point Pier near Portland, Texas during March 2008. The bird watching there is fantastic, especially if you’re interested in coastal birds. When I take bird pictures, I always take my first picture the moment I see the bird. Then I move a few steps closer and take another picture….which eventually results in the bird flying away. Since Mom and Dad were with me this time, I decided to use them as my assistants. I got about as close as I thought I could get without making the osprey I was photographing fly away. Then Mom and Dad strategically walked towards the bird (who was perched high on a powerline-pole…probably keeping an eye out for a fish to eat). I stood still — focused on the osprey — ready and waiting to get my shot the moment it started to fly. 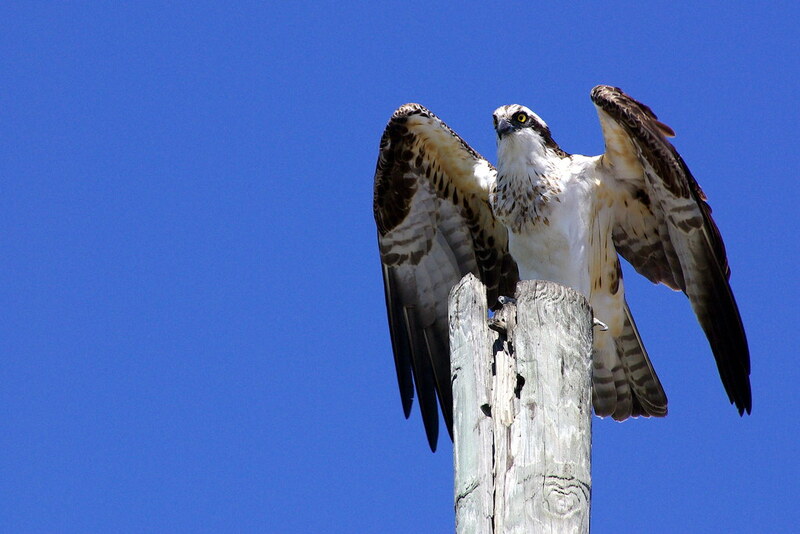 Our plan worked, and I was able to get a couple of decent shots of the osprey. Eight years later these are still two of my favorite bird photographs!